UNIVERSITY OF CAMBRIDGE—The Icelandic Sagas tell of Erik the Red: exiled for murder in the late 10th century he fled to southwest Greenland, establishing its first Norse settlement. For the latest study, published today in the journal Proceedings of the Royal Society B, the research team analyzed walrus samples found in several medieval trading centers – Trondheim, Bergen, Oslo, Dublin, London, Schleswig and Sigtuna – mostly dating between 900 and 1400 CE. He points out that the 11th to 13th centuries were a time of demographic and economic boom in Europe, with growing demand from urban centers and the elite served by transporting commodities from increasingly distant sources. The heyday of the walrus ivory trade saw the material used for exquisitely carved items during Europe’s Romanesque art period. 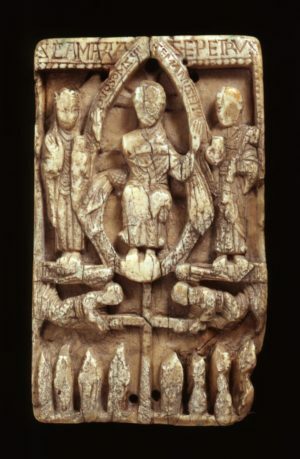 The church produced much of this, with major ivory workshops in ecclesiastical centers such as Canterbury, UK. 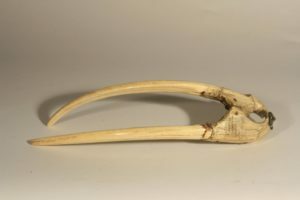 Tusks were exported still attached to the walrus skull and snout, which formed a neat protective package that was broken up at workshops for ivory removal. 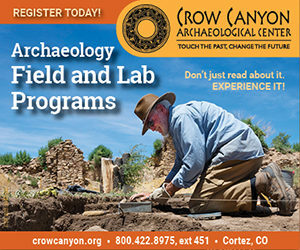 These remains allowed the study to take place, as DNA extraction from carved artifacts would be far too damaging.